At Building Blocks we blend play-based learning with academic experiences to help your child reach his or her highest potential. 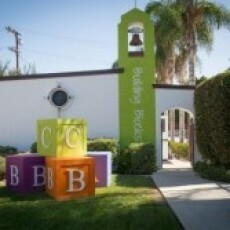 We are a fully licensed child care facility. Our teachers are highly trained to provide your child with the best early learning experience possible. We have a newly renovated classroom and a large outdoor space featuring a large, lush grass yard and new playground equipment. Our preschool curriculum is founded in active, hands-on learning experiences to provide your child with an individualized program for both their age and developmental level.